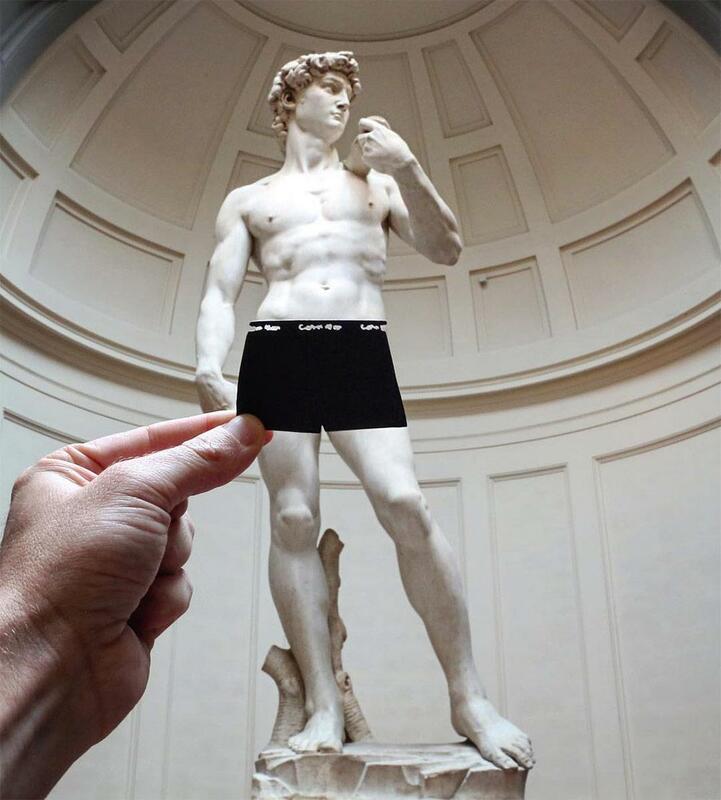 Not a Friday goes by when we don’t find an inspiring project on the web. 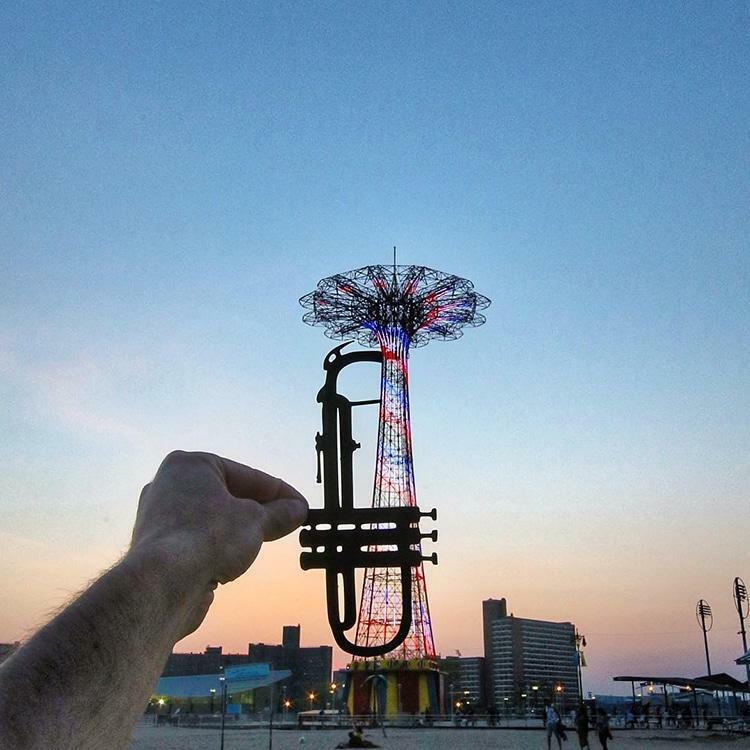 This week, we’re featuring artist and photographer Rich McCor, an ambitious traveler that knows how to have fun. 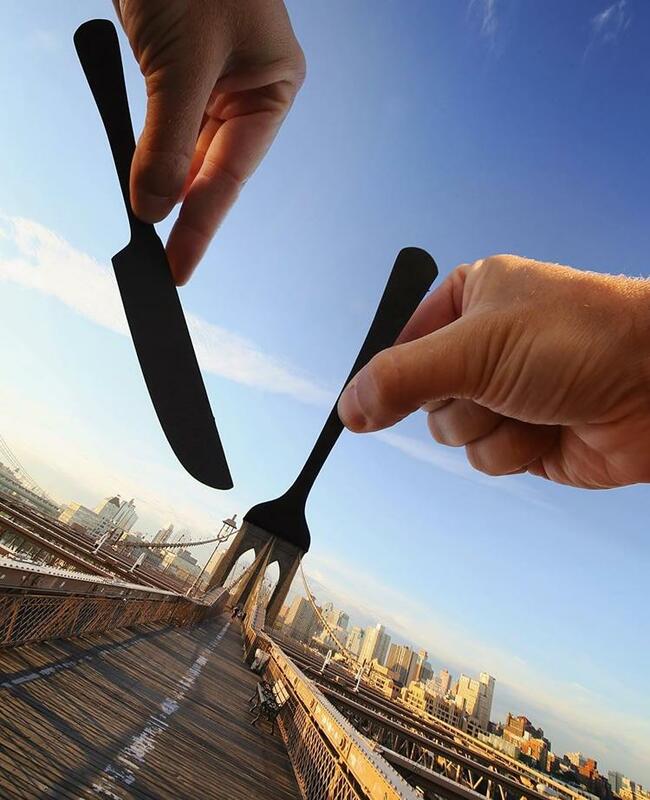 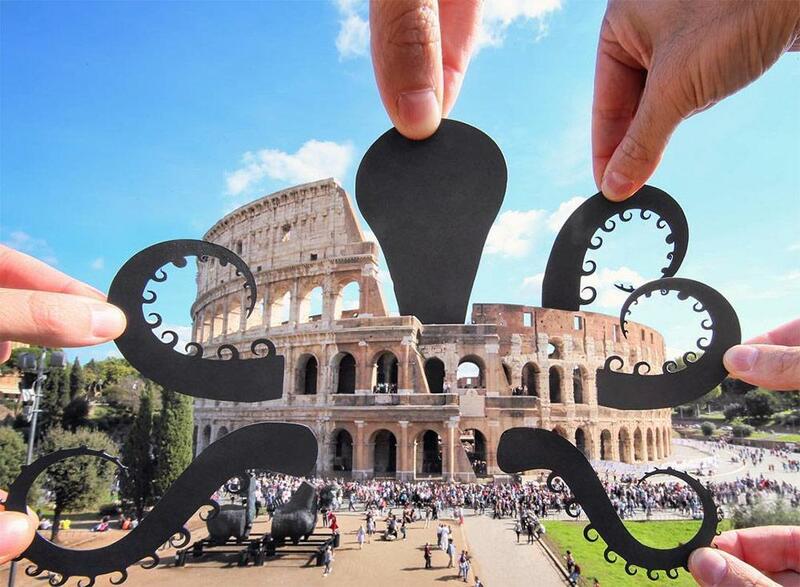 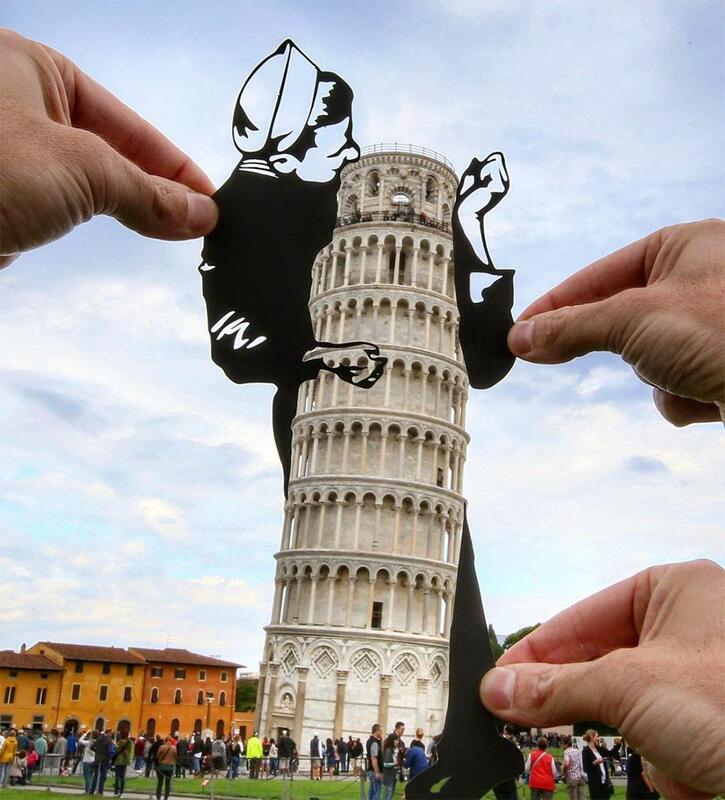 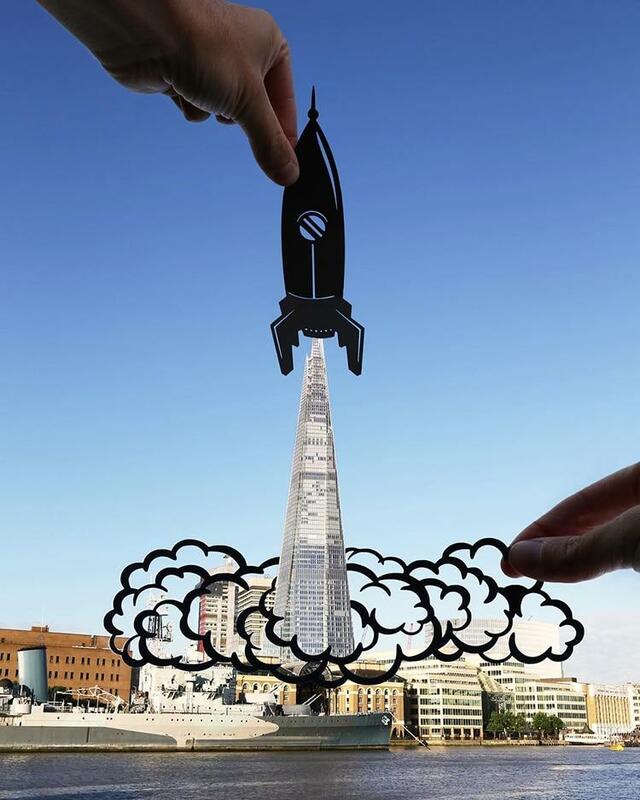 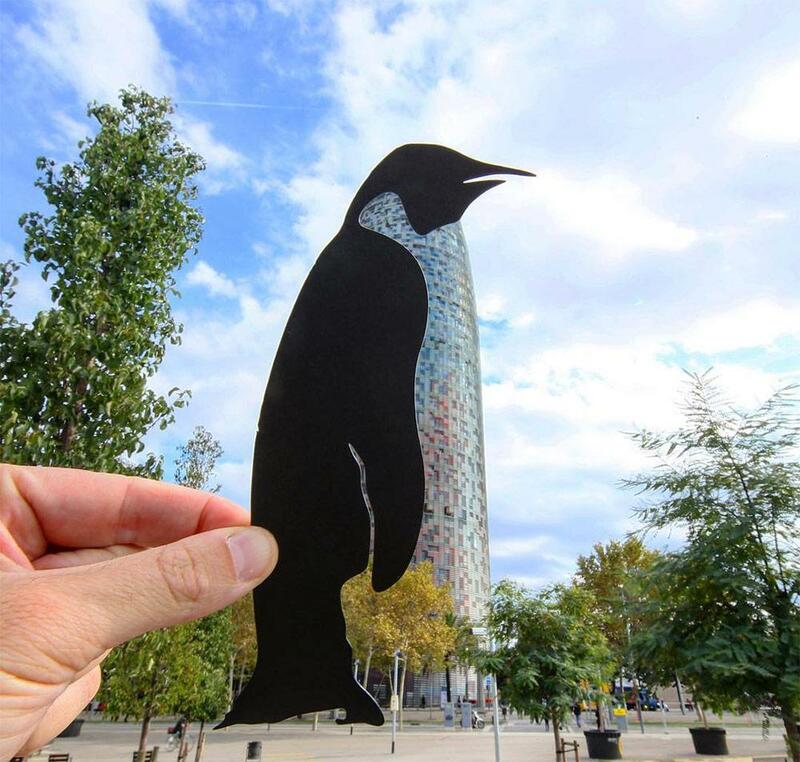 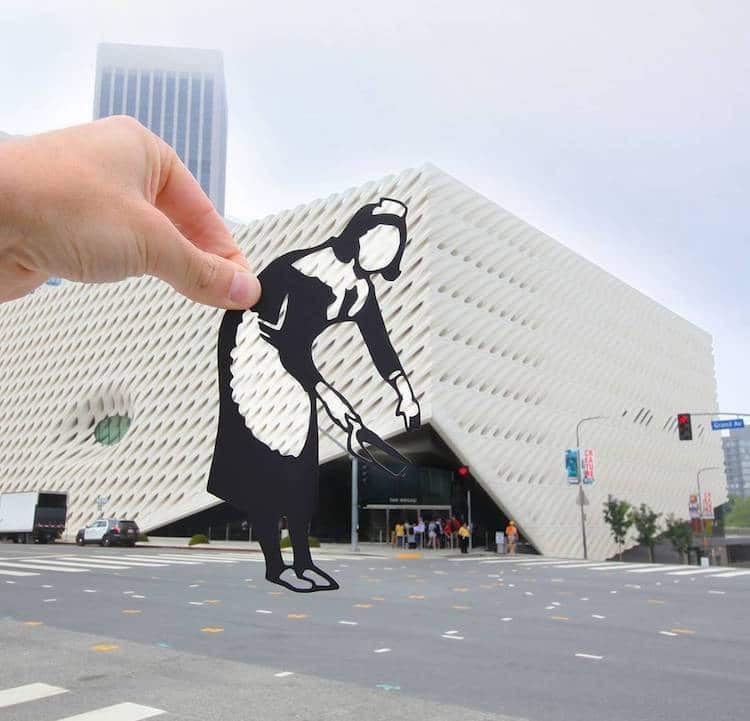 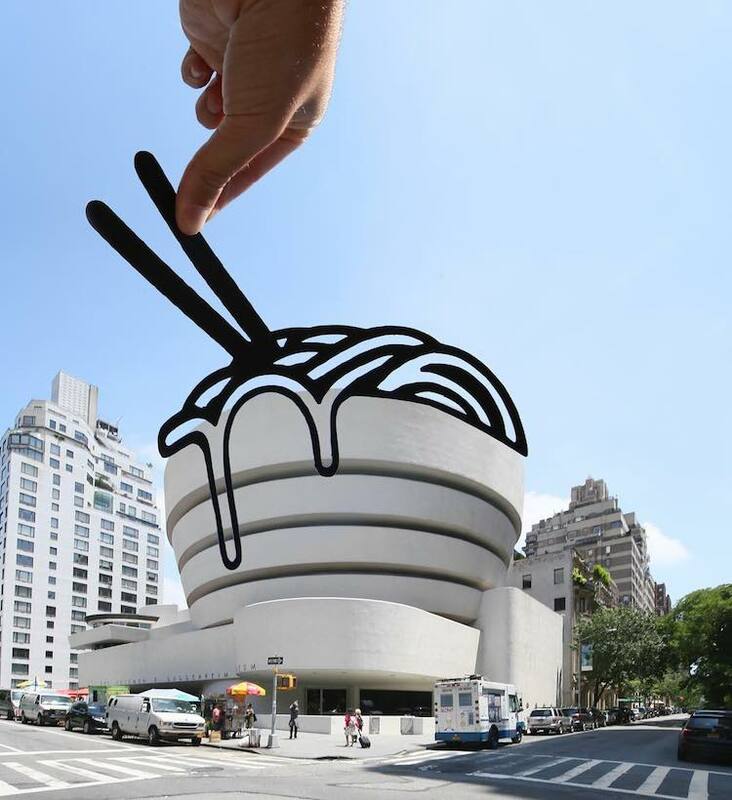 He transforms global landmarks with his neat cut-outs. 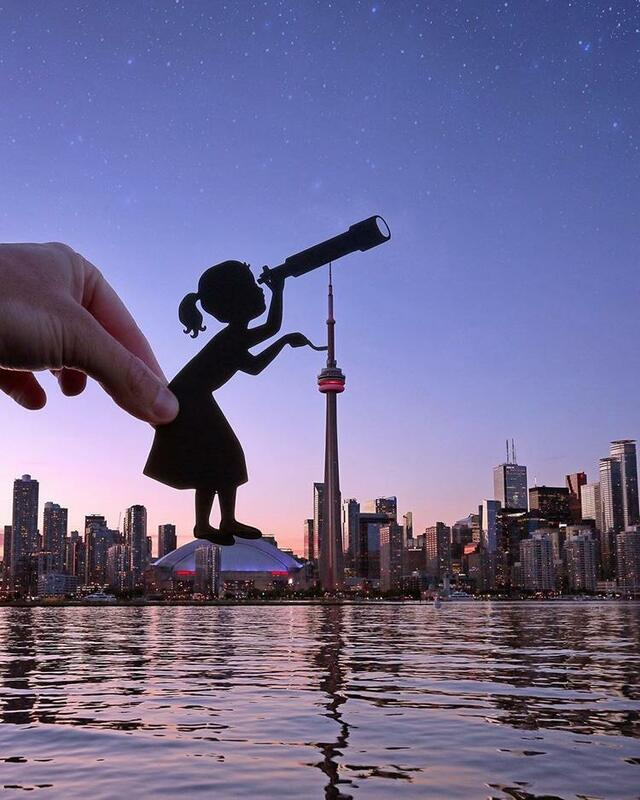 Most recently, the artist traveled to London, Toronto and South Korea. 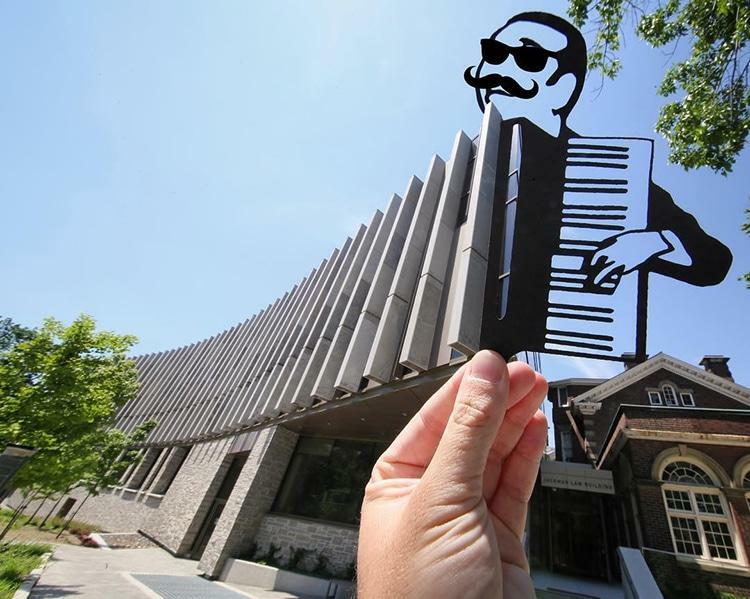 As for inspiration, his project is a little more lighthearted and playful. 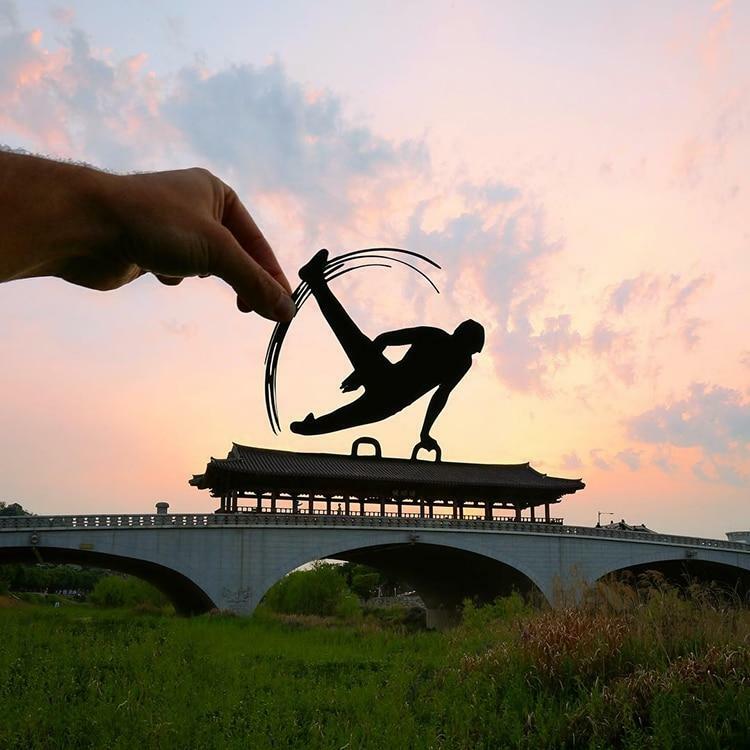 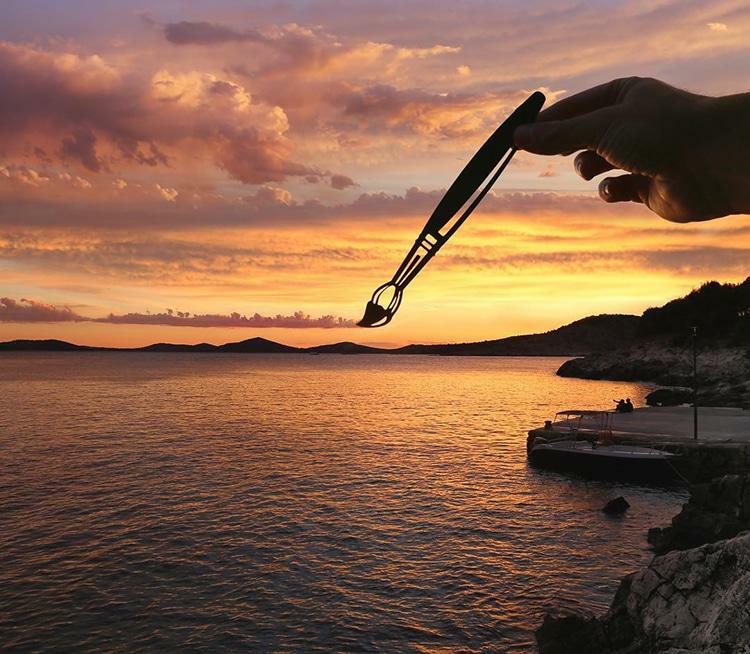 Placing paper silhouette cut-outs between his lens and beautiful landscapes, he transforms landscapes into playing grounds. 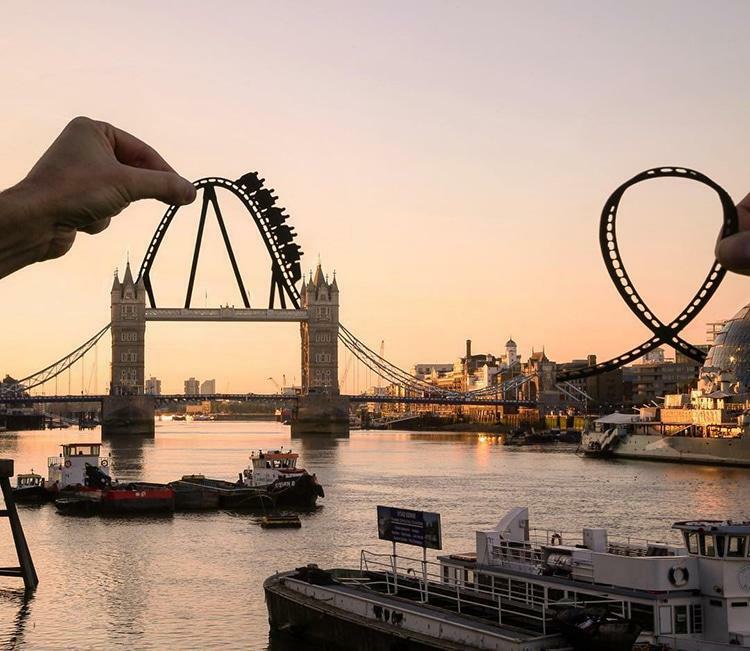 You’ll see how the Tower Bridge can actually be a giant roller coaster, a university’s architectural structures become an accordion, clouds magically turn into brush strokes and other landscapes that integrate with these cut-outs in a way that will ignite your imagination.